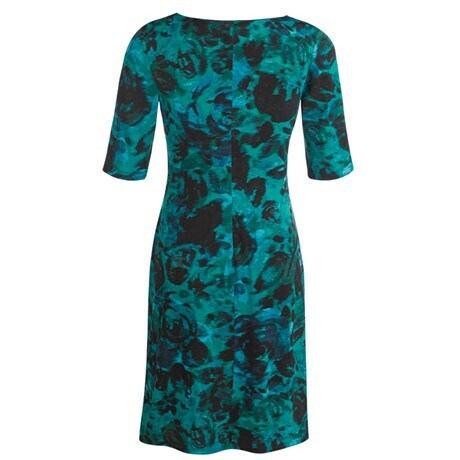 Our neatly tailored dress has a stylish midi length with a goddess draped neckline and perfectly cut elbow-length sleeves. 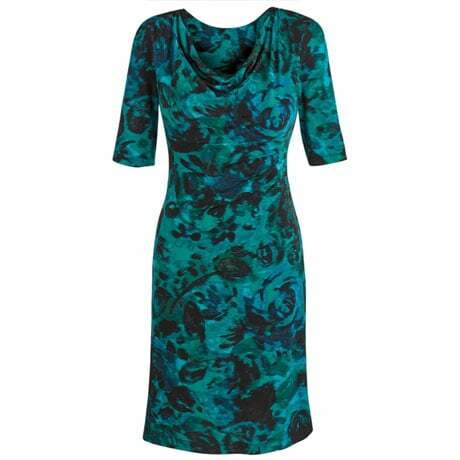 Subtle floral-pattern teal fabric is machine wash. 96% polyester/4% spandex. Imported. Sizes 6-16, 14W-24W; 40"L.